Why is the .IN market about to EXPLODE?!!! How to Approach an End User? 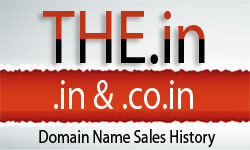 FAQ: Where can I advertise my Indian domains for sale? Series - Busting dot IN myths!